SEAT has launched two new special edition models - the Ibiza Copa and the Leon Copa - which get plenty of extra equipment as standard but with no increase in price. The new trim level is launched in all three Ibiza bodystyles – the three-door SC, standard five-door hatchback and the ST estate and with the choice of two engines, a 1.4-litre 16V petrol or the 1.2 TDI. The Copa is based in the SE but adds climate control including a cooled glovebox, 16-inch 'Fabula' alloy wheels (on the 1.4 only), rain sensitive wipers, automatic lights, tinted rear windows, an auto dimming rearview mirrors, leather steering wheel and bespoke Copa upholstery. These features come in addition to the standard Ibiza SE’s equipment which features cruise control, a CD stereo with AUX-in and steering column-mounted control plus electric windows all round. 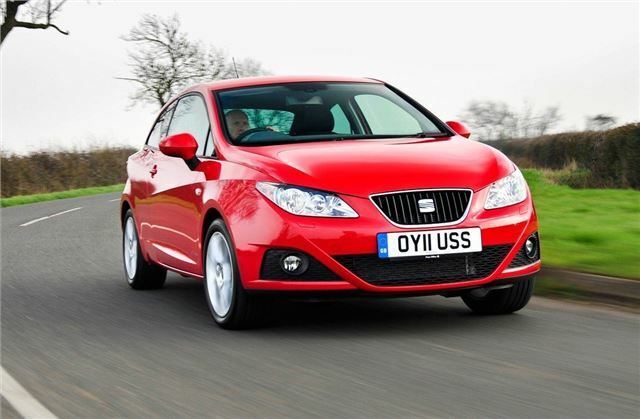 Ibiza SE Copa prices start at £11,995 RRP for the SC version. The SE Copa adds the SEAT Media System, rear parking sensors, light and rain sensors, an auto-dimming rear view mirror and the bespoke Copa upholstery to the standard SE specification.The SEAT Media System includes touchscreen satellite navigation, 3D mapping and dynamic route guidance, along with an SD card, DAB radio tuner and Bluetooth audio streaming connectivity. The Leon Copa is available with the new 1.2-litre TSI 105PS turbocharged petrol engine or the frugal 1.6-litre TDI common rail 105PS engine. Prices for the Leon S Copa 1.2 TSI are £16,180 RRP, while the Leon SE Copa 1.2 TSI version costs £16,940 RRP. The launch of the new models is being backed by a major marketing campaign across the UK’s press, web, TV and radio waves.